Decorate in style with these fluffy, white tissue paper poms. Dimensions: Approximately 5 inches in diameter when fluffed and bloomed. What better way to fluff up your event than with beautiful Just Artifacts white tissue paper pom poms! Tissue paper poms are quite delicate and romantic which makes them great for weddings, baby showers, birthday parties and amazing home d�cor. 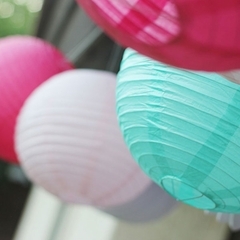 Tissue paper pom poms are also great when accompanied with colorful paper lanterns. Assembly could not be easier. Simply take the ribbon included with your 5inch tissue paper pom and re-wrap it around the center of your pom. Tie the ribbon and ensure the knot is tight enough to prevent the ribbon from sliding. Next, begin fluffing your tissue paper pom one tissue layer at a time. After assembly your white tissue paper pom is ready to be hung! 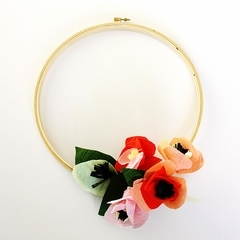 Dimensions: Approximately 7 inches in diameter when fluffed and bloomed. What better way to fluff up your event than with beautiful Just Artifacts white tissue paper pom poms! Tissue paper poms are quite delicate and romantic which makes them great for weddings, baby showers, birthday parties and amazing home d�cor. 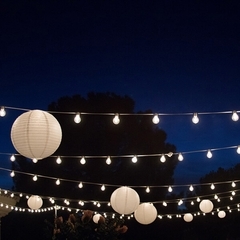 Tissue paper pom poms are also great when accompanied with colorful paper lanterns. Assembly could not be easier. Simply take the ribbon included with your 7inch tissue paper pom and re-wrap it around the center of your pom. Tie the ribbon and ensure the knot is tight enough to prevent the ribbon from sliding. Next, begin fluffing your tissue paper pom one tissue layer at a time. After assembly your white tissue paper pom is ready to be hung! What better way to fluff up your event than with beautiful Just Artifacts white tissue paper pom poms! Tissue paper poms are quite delicate and romantic which makes them great for weddings, baby showers, birthday parties and amazing home d�cor. Tissue paper pom poms are also great when accompanied with colorful paper lanterns. Assembly could not be easier. Simply take the ribbon included with your 8inch tissue paper pom and re-wrap it around the center of your pom. Tie the ribbon and ensure the knot is tight enough to prevent the ribbon from sliding. Next, begin fluffing your tissue paper pom one tissue layer at a time. After assembly your white tissue paper pom is ready to be hung! Dimensions: Approximately 9 inches in diameter when fluffed and bloomed. What better way to fluff up your event than with beautiful Just Artifacts white tissue paper pom poms! Tissue paper poms are quite delicate and romantic which makes them great for weddings, baby showers, birthday parties and amazing home d�cor. Tissue paper pom poms are also great when accompanied with colorful paper lanterns. Assembly could not be easier. Simply take the ribbon included with your 9inch tissue paper pom and re-wrap it around the center of your pom. Tie the ribbon and ensure the knot is tight enough to prevent the ribbon from sliding. Next, begin fluffing your tissue paper pom one tissue layer at a time. After assembly your white tissue paper pom is ready to be hung! What better way to fluff up your event than with beautiful Just Artifacts white tissue paper pompoms! Tissue paper poms are quite delicate and romantic which makes them great for weddings, baby showers, birthday parties and amazing home d�cor. Tissue paper pompoms are also great when accompanied with colorful paper lanterns. Assembly could not be easier. Simply take the ribbon included with your 10inch tissue paper pom and re-wrap it around the center of your pom. Tie the ribbon and ensure the knot is tight enough to prevent the ribbon from sliding. Next, begin fluffing your tissue paper pom one tissue layer at a time.� After assembly your white tissue pom is ready to be hung! Dimensions: Approximately 11 inches in diameter when fluffed and bloomed. What better way to fluff up your event than with beautiful Just Artifacts white tissue paper pom poms! 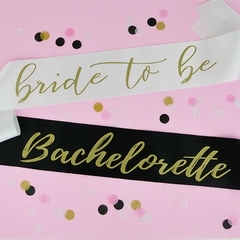 Tissue paper poms are quite delicate and romantic which makes them great for weddings, baby showers, birthday parties and amazing home d�cor. 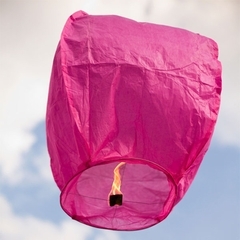 Tissue paper pom poms are also great when accompanied with colorful paper lanterns. Assembly could not be easier. Simply take the ribbon included with your 11inch tissue paper pom and re-wrap it around the center of your pom. Tie the ribbon and ensure the knot is tight enough to prevent the ribbon from sliding. Next, begin fluffing your tissue paper pom one tissue layer at a time. After assembly your white tissue paper pom is ready to be hung! 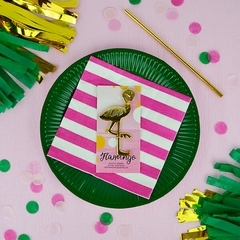 Just Artifacts tissue paper pompoms are ideal for any event! 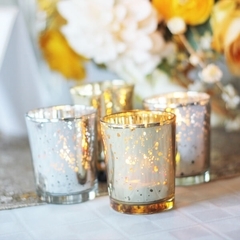 We offer a large selection of vibrant colors to help you coordinate the perfect color palette for any birthday party, wedding, or celebration. Assembly could not be easier. Simply take the ribbon included with your white 12inch tissue pom and re-wrap it around the center of your pom. Tie the ribbon and ensure the knot is tight enough to prevent the ribbon from sliding. Next, begin fluffing your tissue paper pom one tissue layer at a time.� After assembly your white tissue paper pom is ready to be hung! Dimensions: Approximately 13 inches in diameter when fluffed and bloomed. What better way to fluff up your event than with beautiful Just Artifacts white tissue paper pom poms! Tissue paper poms are quite delicate and romantic which makes them great for weddings, baby showers, birthday parties and amazing home d�cor. 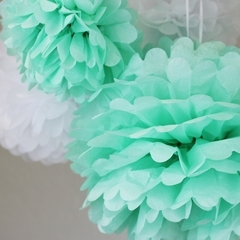 Tissue paper pom poms are also great when accompanied with colorful paper lanterns. Assembly could not be easier. Simply take the ribbon included with your 13inch tissue paper pom and re-wrap it around the center of your pom. Tie the ribbon and ensure the knot is tight enough to prevent the ribbon from sliding. 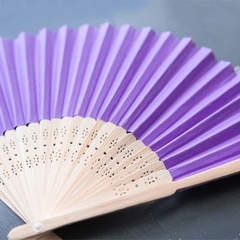 Next, begin fluffing your tissue paper pom one tissue layer at a time. After assembly your white tissue paper pom is ready to be hung! Just Artifacts tissue paper pompoms are ideal for any event! 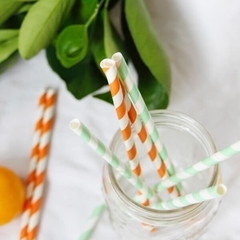 We offer a large selection of vibrant colors to help you coordinate the perfect color palette for any birthday party, wedding, or celebration. Assembly could not be easier. Simply take the ribbon included with your white 14inch tissue paper pom and re-wrap it around the center of your pom. Tie the ribbon and ensure the knot is tight enough to prevent the ribbon from sliding. Next, begin fluffing your tissue paper pom one tissue layer at a time.� After assembly your white tissue paper pom is ready to be hung! Dimensions: Approximately 15 inches in diameter when fluffed and bloomed. What better way to fluff up your event than with beautiful Just Artifacts white tissue paper pom poms! Tissue paper poms are quite delicate and romantic which makes them great for weddings, baby showers, birthday parties and amazing home d�cor. 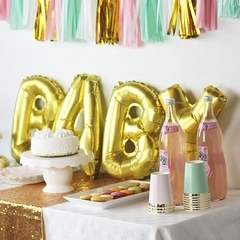 Tissue paper pom poms are also great when accompanied with colorful paper lanterns. Assembly could not be easier. Simply take the ribbon included with your 15inch tissue paper pom and re-wrap it around the center of your pom. Tie the ribbon and ensure the knot is tight enough to prevent the ribbon from sliding. Next, begin fluffing your tissue paper pom one tissue layer at a time. After assembly your white tissue paper pom is ready to be hung! Just Artifacts tissue paper pompoms are ideal for any event! 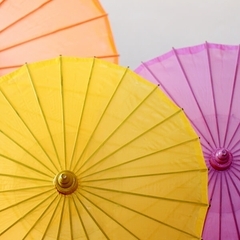 We offer a large selection of vibrant colors to help you coordinate the perfect color palette for any birthday party, wedding, or celebration. Assembly could not be easier. Simply take the ribbon included with your white 16inch tissue pom and re-wrap it around the center of your pom. Tie the ribbon and ensure the knot is tight enough to prevent the ribbon from sliding. Next, begin fluffing your tissue paper pom one tissue layer at a time.� After assembly your white tissue paper pom is ready to be hung! Dimensions: Approximately 17 inches in diameter when fluffed and bloomed. What better way to fluff up your event than with beautiful Just Artifacts white tissue paper pom poms! Tissue paper poms are quite delicate and romantic which makes them great for weddings, baby showers, birthday parties and amazing home d�cor. Tissue paper pom poms are also great when accompanied with colorful paper lanterns. Assembly could not be easier. Simply take the ribbon included with your 17inch tissue paper pom and re-wrap it around the center of your pom. Tie the ribbon and ensure the knot is tight enough to prevent the ribbon from sliding. Next, begin fluffing your tissue paper pom one tissue layer at a time. After assembly your white tissue paper pom is ready to be hung! Just Artifacts tissue paper pompoms are ideal for any event! 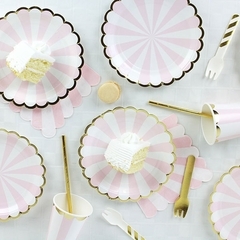 We offer a large selection of vibrant colors to help you coordinate the perfect color palette for any birthday party, wedding, or celebration. Assembly could not be easier. 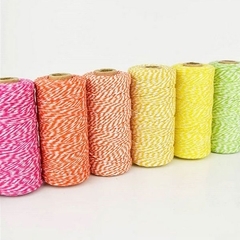 Simply take the ribbon included with your white 18inch tissue pom and re-wrap it around the center of your pom. Tie the ribbon and ensure the knot is tight enough to prevent the ribbon from sliding. Next, begin fluffing your tissue paper pom one tissue layer at a time.� After assembly your white tissue paper pom is ready to be hung! Dimensions: Approximately 19 inches in diameter when fluffed and bloomed. What better way to fluff up your event than with beautiful Just Artifacts white tissue paper pom poms! Tissue paper poms are quite delicate and romantic which makes them great for weddings, baby showers, birthday parties and amazing home d�cor. Tissue paper pom poms are also great when accompanied with colorful paper lanterns. Assembly could not be easier. Simply take the ribbon included with your 19inch tissue paper pom and re-wrap it around the center of your pom. Tie the ribbon and ensure the knot is tight enough to prevent the ribbon from sliding. Next, begin fluffing your tissue paper pom one tissue layer at a time. After assembly your white tissue paper pom is ready to be hung! Just Artifacts tissue paper pompoms are ideal for any event! 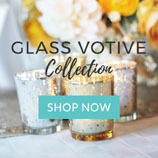 We offer a large selection of vibrant colors to help you coordinate the perfect color palette for any birthday party, wedding, or celebration. Assembly could not be easier. Simply take the ribbon included with your white 20inch tissue pom and re-wrap it around the center of your pom. Tie the ribbon and ensure the knot is tight enough to prevent the ribbon from sliding. Next, begin fluffing your tissue paper pom one tissue layer at a time.� After assembly your white tissue paper pom is ready to be hung! Dimensions: Approximately 22 inches in diameter when fluffed and bloomed. What better way to fluff up your event than with beautiful Just Artifacts white tissue paper pom poms! Tissue paper poms are quite delicate and romantic which makes them great for weddings, baby showers, birthday parties and amazing home d�cor. 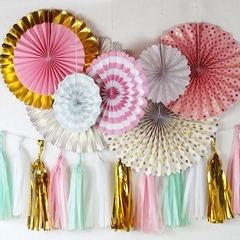 Tissue paper pom poms are also great when accompanied with colorful paper lanterns. Assembly could not be easier. Simply take the ribbon included with your 22 inch tissue paper pom and re-wrap it around the center of your pom. Tie the ribbon and ensure the knot is tight enough to prevent the ribbon from sliding. Next, begin fluffing your tissue paper pom one tissue layer at a time. After assembly your white tissue paper pom is ready to be hung! What better way to fluff up your event than with beautiful Just Artifacts white tissue paper pom poms! Tissue paper poms are quite delicate and romantic which makes them great for weddings, baby showers, birthday parties and amazing home d�cor. Tissue paper pom poms are also great when accompanied with colorful paper lanterns. Assembly could not be easier. Simply take the ribbon included with your 24 inch tissue paper pom and re-wrap it around the center of your pom. Tie the ribbon and ensure the knot is tight enough to prevent the ribbon from sliding. Next, begin fluffing your tissue paper pom one tissue layer at a time. After assembly your white tissue paper pom is ready to be hung! Dimensions: Approximately 26 inches in diameter when fluffed and bloomed. What better way to fluff up your event than with beautiful Just Artifacts white tissue paper pom poms! Tissue paper poms are quite delicate and romantic which makes them great for weddings, baby showers, birthday parties and amazing home d�cor. Tissue paper pom poms are also great when accompanied with colorful paper lanterns. Assembly could not be easier. Simply take the ribbon included with your 26 inch tissue paper pom and re-wrap it around the center of your pom. Tie the ribbon and ensure the knot is tight enough to prevent the ribbon from sliding. Next, begin fluffing your tissue paper pom one tissue layer at a time. After assembly your white tissue paper pom is ready to be hung! Dimensions: Approximately 28 inches in diameter when fluffed and bloomed.